The average human sleeps 1/3rd of their life away. There's no reason to spend that portion of your life sleeping on an uncomfortable mattress. When you lay down at night, it's important to feel like you're snoozing on clouds. 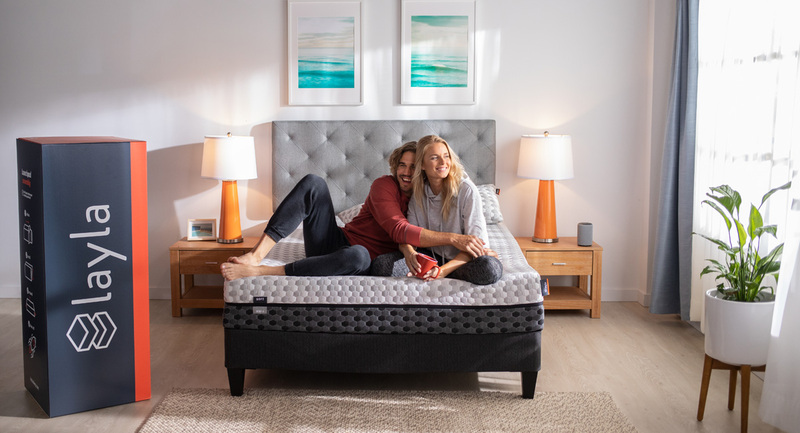 Incorporate a memory foam mattress into your life and you'll always have a smile on your face. Layla Sleep offers the most comfortable mattress on the planet. This is not any ordinary mattress though, oh no. Layla's mattresses feature copper infused memory foam so you can sleep like a king. The use of copper reduces joint pain relief and offers better blood circulation. If you have arthritis or suffer from muscle pain, this mattress is a must for you. Another bonus is that you'll be able to sleep cooler since copper doesn't hold heat. If you're tired of sleeping on your old uncomfortable mattress, it's time to introduce Layla Sleep into your life. Why not head on over to the site and order your new mattress? The company offers a wonderful trial option for the customers. They allow you to keep the mattress for up to 4 months and then you can decide if you want to continue using it or not. If not, you can send it back with no questions asked. I was fortunate enough to receive a Layla Sleep queen sized memory foam mattress. The mattress arrived in a small box and that really boggled my mind. It's crazy how a mattress can fit into such a tiny box! Once you let the rectangular piece of heaven decompress, it's time to get your comfy on! Within 2 minutes the mattress was ready to be put on the bed. Of course I was very excited to sleep on it that night. When I woke up in the morning, I felt refreshed, rejuvenated, and ready for the day ahead. The memory foam is like a cloud and as soon as you lay on it, everything's right in the world. There's honestly nothing like this mattress. I don't know how I've lived without it. I truly look forward to sleeping at night now more than ever. I suffer from occasional back pain and the copper is doing wonders to help with that. If you suffer from any kind of arthritis or joint pain, the mattress will really help you. You can't put a price tag on waking up rested and pain-free. If you're looking to upgrade your bed to the creme de la creme of mattresses, Layla Sleep is waiting for your order. *DISCLOSURE* Thank you to Layla Sleep for providing me with a product sample in order to facilitate this post. All thoughts are strictly my own.